When it comes to getting dirty, my kids are experts. I presume all of them are and there is nothing more fun than putting your hands into a gak or a slime. I know that not every parent loves mess, but mess teaches. Its fun. Its busy. And for those of you that cant stomach little tiny hands in big icky messy slime, it can also be cleaned up quite easily. 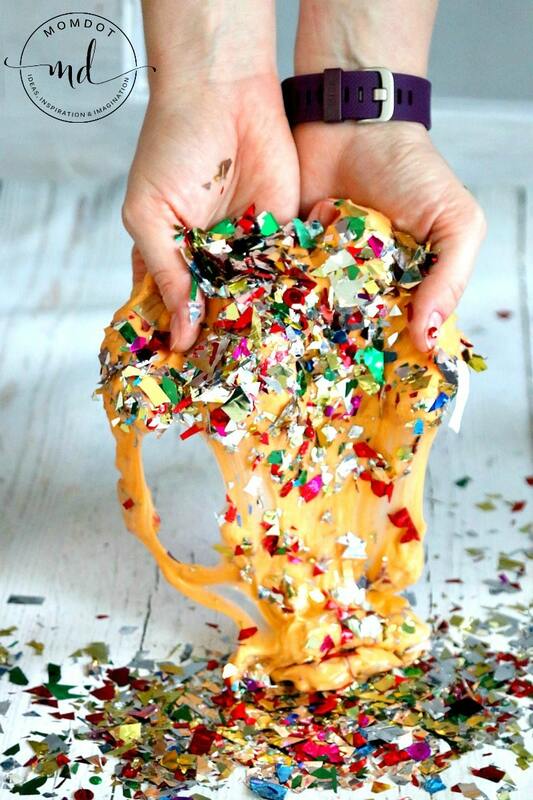 So roll up your sleeves, be a cool parent, and grab one of these 15 insane slime recipes. Plus, scroll down to get a custom video on the stages of slime which will help you get from point A to point B. Love the Slime Recipes on MomDot? Our first book has been published and you can pick up a copy right on Amazon for yourself or to gift to a slime fan in your house! It features not only some fun basic slime recipes and how to get started on creating your own, but also some ways to use slime for holidays and gifts! Check out the book here ! PRO TIP: Before you get started, make sure you have what you need! Many people do not like to deal with borax and water when making slime- I know I don’t. 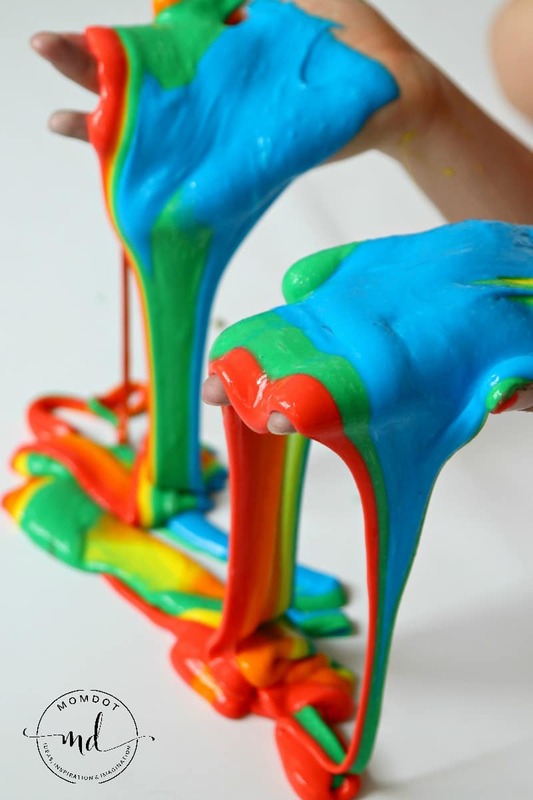 Slime is best made with LIQUID STARCH and glue. It’s a ton easier and a lot more fool proof. That being said, it can be pretty hard to find liquid starch, so pick this one up here (it’s the one I use) as well as a huge thing of glue so you can make tons of striped slime. Buying this way is a lot more cost effective and once you start making slime, you will def want to have glue on hand! When it comes to the gallon size glue, if this one is out, go to the “Available by these sellers”. Due to the popularity of many of MomDot’s recipes, stock seems to come and go on this item. If you see one, grab it! 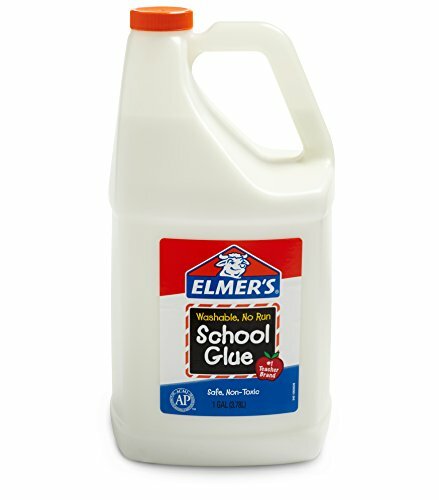 Its IMPOSSIBLE to find gallon glue in the stores. 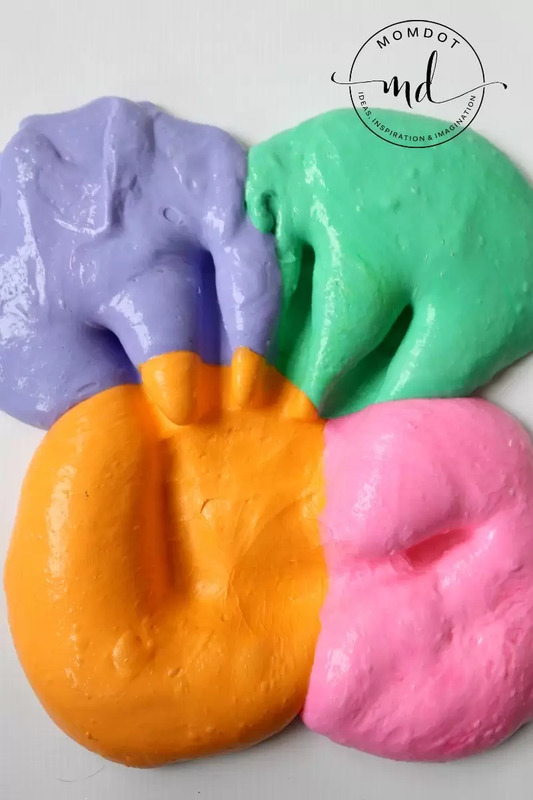 Rainbow Slime: This gorgeous multi colored slime is so incredibly fun and makes me want to jump in the entire vat of slime or turn it into a big poofy slime by learning how to make fluffy slime with shaving cream. 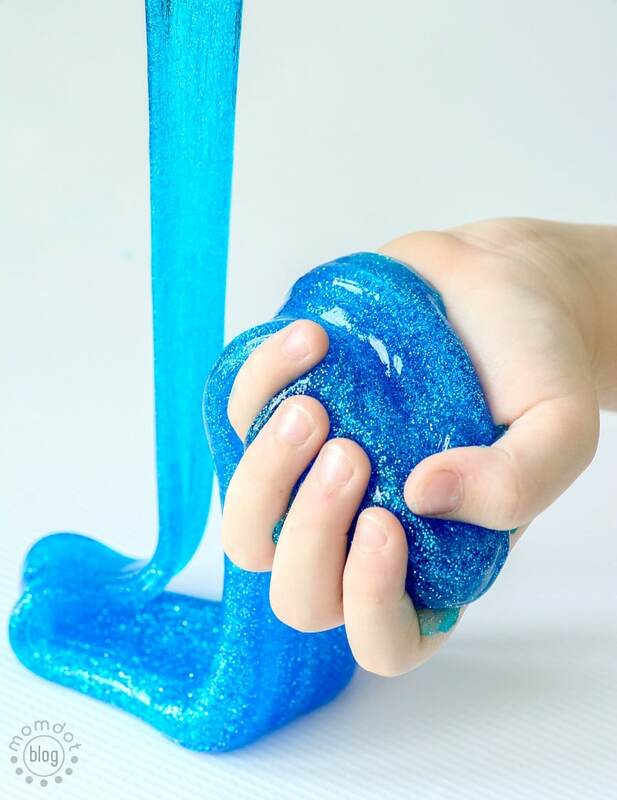 Homemade Glitter Gak: Customize your own slime with clear glue and any glitter you like. 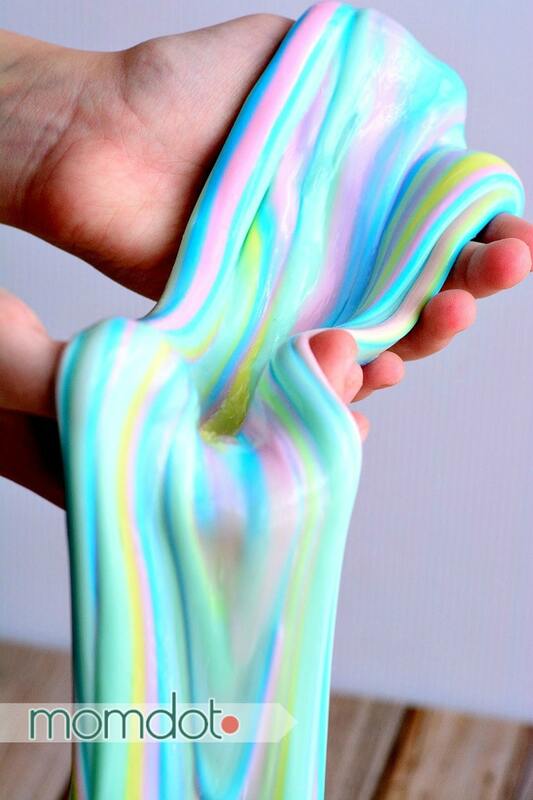 This slow flow slime is also wonderful to blow slime bubbles with. 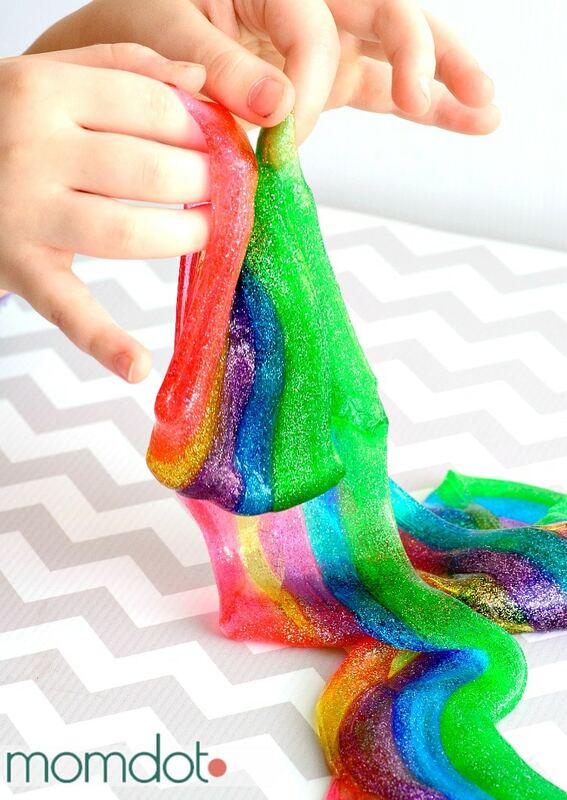 Striped Slime: Creating slime of many different colors is a super fun sensory experience that makes from your smallest to tallest excited. This has a DETAILED description how to make slime so you don’t mess it up. Fourth of July Slime: Red, white and blue! Such a fun patriotic slime. Glow in the Dark Slime: Slime is just as fun in the dark! Learn how to make it glow, glow, glow! 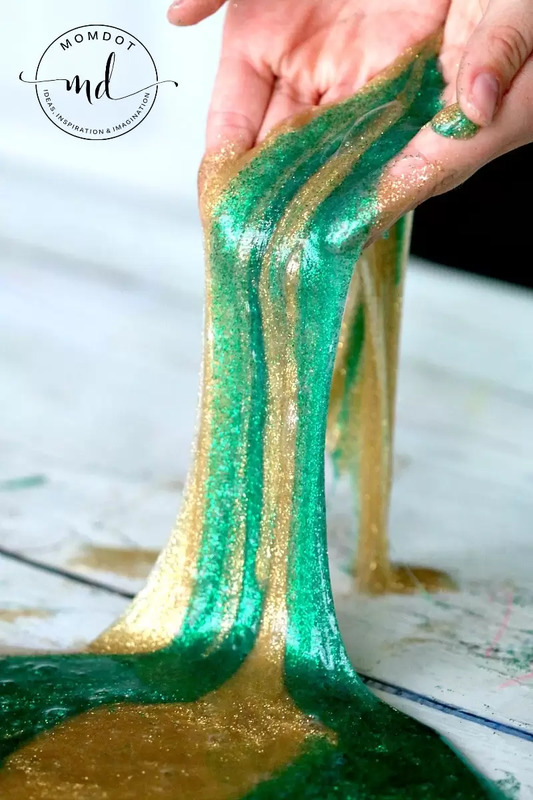 Mardi Gras Glitter Slime: Fun colors of mardi gras, just add beads to this fast flowing fun slime. 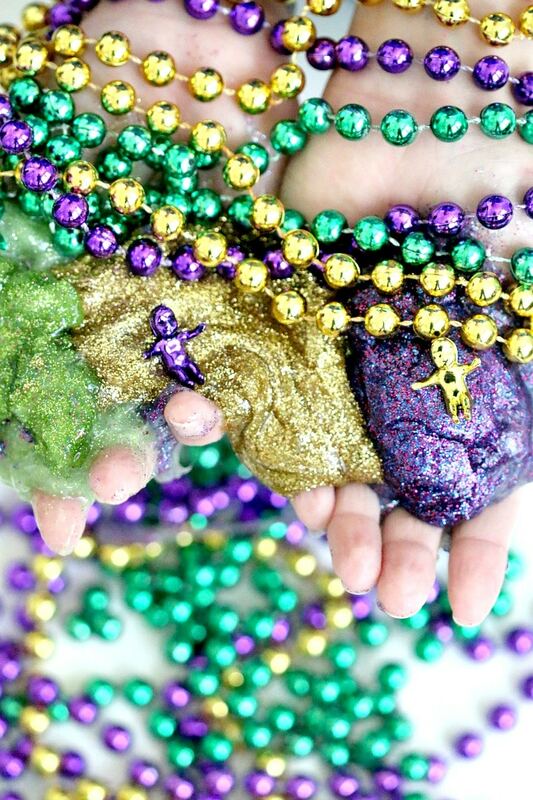 Mardi Gras Slime without Borax: Green and Purple, this is one slime that is so beautiful and EASY to make. 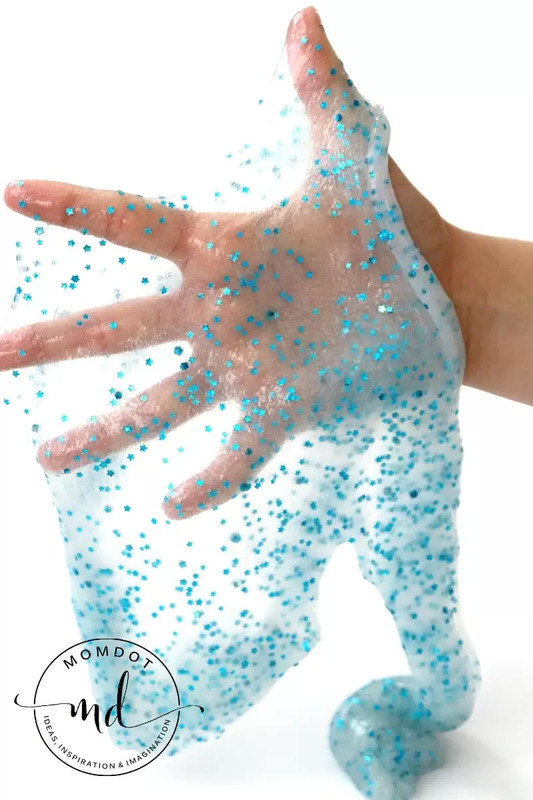 Glitter Slime (With Borax): Learn how to make a slime base that can be duplicated with any color! 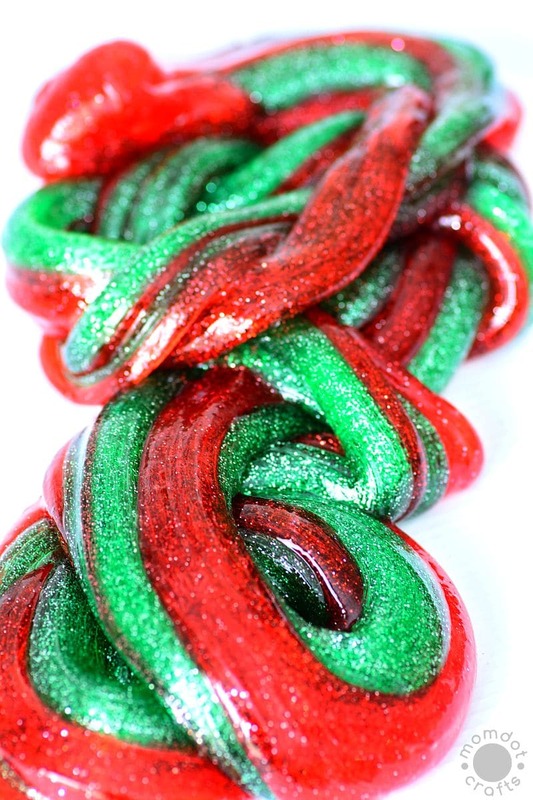 Peppermint Slime: This one is not only fun to play with, but smells good too. Spice up your slime with a full sensory experience by adding scents. Want something different? 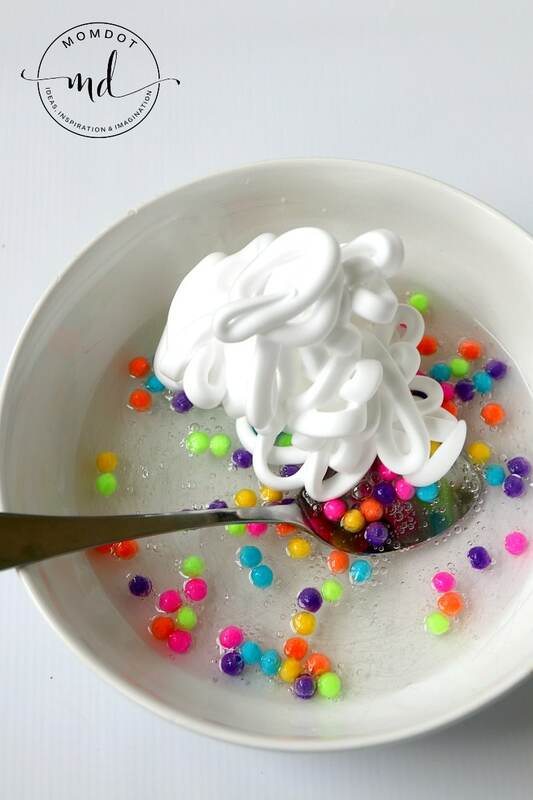 Try Fluffy Slime! 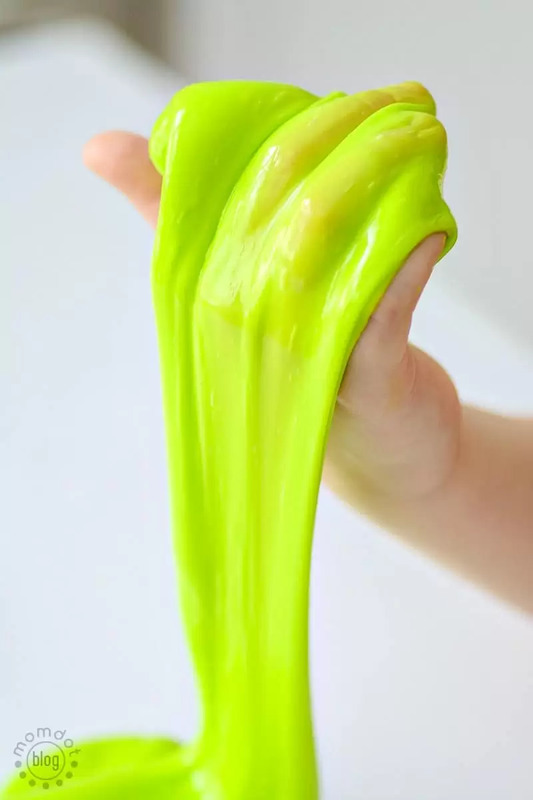 So many people message me and ask me how I get slime so perfect…..well, it goes through stages and some people quit before they get to the slimy stage! I did a video showing you what you can expect when you create your slime. It’s a lot easier than you think. 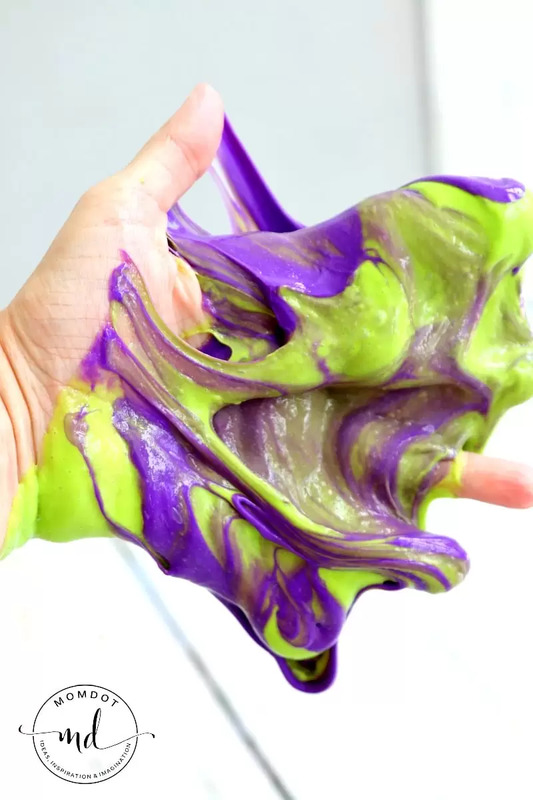 There are two ads in this video near the beginning, which help pay for all this slime recipes and ideas that are provided here and we appreciate your support in keeping those costs down. I think you will like this video and it will help get you less frustrated in creating slime and figuring out the direction you are going. Please note this video is specifically about using WHITE glue. Clear glues and glitter glues are a different consistency and require MORE starch to firm.